Made in Romford. Formed in Cardiff. Honed at Prince’s Paisley Park Studios and on the road in the early days with Eurythmics, the much-loved duo of Karl Hyde and Rick Smith – with notable collaborators including the two Darren’s, Price and Emerson, are Underworld. One of the first of the second wave new dance and club acts to transcend any perceived computer boffin image, the duo are renowned for their wit and sparkle and truly groundbreaking excursions in to the outer lands of electronic music. Icons of their time too, thanks to the breakthrough success of the immortal track “Born Slippy.NUXX”, used to such devastating effect in Danny Boyle’s movie Trainspotting, Smith and Hyde go from strength to strength. In the twenty years since the release of dubnobasswithmyheadman, Underworld’s DNA has spread through both electronic music and popular culture in general – mutated and reimagined as the EDM soundtrack of the dance floors of Las Vegas; acknowledged and acclaimed as the backbone to Danny Boyle’s production of Frankenstein at the National Theatre and his globally acclaimed Opening Ceremony to the London 2012 Olympic Games where they acted as musical directors to an inspired, hallucinatory sprint through three hundred years of British history. We’re pleased to say that dubnobasswithmyheadman is soon available in a variety of formats. To celebrate this twentieth anniversary, the band’s Rick Smith has meticulously re-mastered the record at Abbey Road for a deluxe reissue. Revisiting the original MIDI files, Rick uncovered a wealth of previously unreleased material and rare alternate mixes that sit alongside the record’s original companion singles and remixes and offer a fascinating insight into the creation of the record. The resultant release is the definitive version of one of those rare records that truly deserves to be described as a classic. Other Underworld albums will be afforded the same luxury treatment in the months to come. Our heroes Hyde and Smith formed Underworld in Cardiff in 1980 following a run out with various ensembles influenced by Kraftwerk, Prince, dub step and just about any genre they cared to chuck into the pot. Electro-pop origins led to the early Underworld discs Underneath the Radar and Change the Weather in the late 1980s before they fell on their feet for good with DJ Darren Emerson and started producing danceable techno for the thriving rave scene. In fact dubnobasswithmyheadman arrived while the duo were also experimenting with the art design project Tomato and delivering singles under the Lemon Interrupt moniker. The seeds were thus sewn for a bewilderingly audacious scope of ideas and adventures, except that unlike many of their peers the Underworld boys delivered. 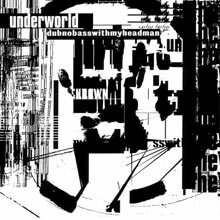 dubnobasswithmyheadman (1994) is a gauntlet thrown down: techno, progressive house and trance bubble through and album that astonishes today just as it left folks reeling back in the day. Acid house and rushing, blood firing dub means that this is a dance album that rocks. Maybe if we leave off the generic typecasting it’s easier to just say that this is one of the most essential albums of the era. Epochal, that kind of thing. And considering what’s inside - classics include “Dark & Long”, “Mmm Skyscraper I Love You”, “Dirty Epic” and “Cowgirl” – the original approach to composition, where cut-up and Cubism can sit next to a guitar riff or a montage of rhythms, is what will set Underworld apart from the herd. Often cited as a musical equivalent of a George Orwell vision of the future, Underworld doesn’t lack a sense of humour. The brilliantly entitled follow-up Second Toughest in the Infants (1996) is more of the same, only better and subtler. Following the worldwide success of their “Born Slippy.NUXX” soundtrack offering Infants soared into the UK Top Ten and started to make inroads worldwide, in Europe, Australia and eventually America. Our reissues comes with class bonus material and like we say – look out for forthcoming deluxe formats), “Slippy" itself and the massive dance anthem “Rez” often coupled together live with “Cowgirl”. As Underworld’s live reputation starts to soar at the same pace as their studio work they embrace elements if jungle and always hip hop and reggae. 1999’s Beaucoup Fish was well worth the wait. The thrusting piano driven “Push Upstairs” and the guitar drenched “King of Snake” are facets of a remarkable disc. The rocky “Bruce Lee” is atypical Underworld – or is it? That’s the trick. Keep ‘em guessing. 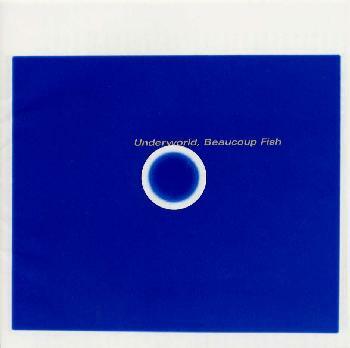 As cool and vital as anything contemporary by say Fatboy Slim or Lauryn Hill, Beaucoup Fish stands as another landmark on Underworld’s path. The desire to create artifacts, rather than simply churn out music for its own sake, is a given with them and will soon draw them to the attention of folk like Brian Eno. Meanwhile the live Everything, Everything (2000) recorded a year earlier in Brussels, is far more than your standard greatest hits and a couple of ringers. It gets better with every play while avoiding many of the pitfalls associated with over-indulgent live recordings. A Hundred Days Off sees that Eno empathy arrive in full effect. This is a more ambient affair with a touch of lounge about it although tracks like “Two Months Off” and “Dinosaur Adventure 3D” are classic Underworld in construction. For those anxious to play a bit of catch-up the compilation 1992-2002 enables one to do just that and moreover it finds them cracking Japan and moving into American territory with a vengeance, so mission accomplished. And so full circle and back to Barking (2010) where Smith and Hyde wrote and recorded each track before sending them out to producers well known for their contributions to trance, drum and bass and dubstep. As usual with these guys there are many formats available, with deluxe variations, alternative versions and DVD material a-plenty. Another global charting gem, Barking is one of the finest Essex referencing albums of all time. The updated anthology 1992-2012 also comes with unreleased tracks and rarities across three discs while A Collection caters for those who want to enjoy all the goods on a single CD. Suffice to say that while these fellows have been making grand sounds in four different decades they remain on top of their game and the arrival of the multi-packaged dubnobasswithmyheadman and some imminent live dates are bound to make them household names. Again. In many ways Underworld are like the storyline of Danny Boyle’s movie Sunshine, for which they provided the sound track. Their mission seems to be to be reigniting the universe and adapt all available space. While they continue to operate from the edge lands they have an innate sense of humanity about them. This is dance music, Jim. But not as we know it. We recommend immediate investigation, without prejudice. Good for the head man. From the beginning of the first track "Dark & Long," Underworld's focus on production is clear, with songwriting coming in a distant second. The best tracks ("MMM Skyscraper I Love You," "Cowgirl") mesh Hyde's sultry songwriting with Emerson's beat-driven production, an innovative blend of classic acid house, techno and dub that sounds different from much that preceded it. 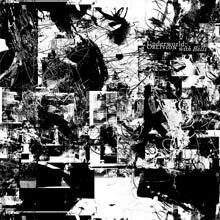 In a decade awash with stale fusion, Underworld are truly a multi-genre group. 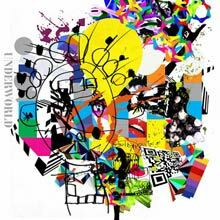 On their second album, Underworld continue to explore the fringes of dub, dance, and techno, creating a seamless, eclectic fusion of various dance genres. Second Toughest in the Infants carries the same knockout punch of their debut, Dubnobasswithmyheadman, but it's subtler and more varied, offering proof that the outfit is one of the leading dance collectives of the mid-'90s. Like their heroes Kraftwerk, Underworld's Karl Hyde and Rick Smith appear to work in a completely sterile environment, unbothered by charts or sales projections or label concerns about their marketing abilities. They simply reemerge periodically with another full-length of precise but swinging techno, with vocals that somehow create a rather plaintive sense of detachment (Radiohead's similarity in this area should not be overlooked). More than 2002's A Hundred Days Off or 1998's Beaucoup Fish, Oblivion with Bells harks back to Underworld's 1993 rebirth with the epic Dubnobasswithmyheadman. (Even the cover design and accordion-style liner notes are similar.) The acid techno is firmly in place, with little or no regard for developments in the form after the '80s. Still, unlike other electronica mainstays who have occasionally revealed a little weariness -- either from trying to change or trying to stay the same -- Underworld never sound particularly tired on Oblivion with Bells. Granted, the music is less innovative than before, and also more quiet, which makes Hyde's vocals more critical than they've ever been. Unfortunately, however, they don't benefit from the scrutiny. "Ring Road" and "Holding the Moth" are particularly odd, utilizing Underworld's usual cut-and-paste phraseology, but with productions and performances that never come together like their classics "Dark & Long" or "Pearls Girl." Underworld's eighth album found the duo seeking outside production, which came in the form of a half-dozen dance heavyweights who pull the aging duo in several different directions, mostly pop, trance, and, occasionally, their native techno. The opening "Bird 1" is a glorious return to form, featuring a production from Dubfire that recasts the duo in the gritty, rain-soaked techno of 1993, a dead ringer for Dubnobasswithmyheadman's "Dark & Long." 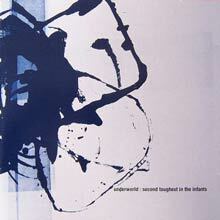 Underworld have rarely revisited old ground, making this a startling and excellent track. Still, Barking doesn't spend much time there, instead visiting much brighter territory on the single "Scribble," with a production by High Contrast that should have creative directors rearranging their budgets to license. The biggest name here is Paul Van Dyk, whose "Diamond Jigsaw" is as straight-ahead as techno can get -- and also sounds like it could earn its share of advertising dollars. Although this is hardly Underworld at their finest, the duo's songwriting fits the mainstream productions and results in a solid dance album for the 2010s -- music for aging-raver activities like driving cars, pushing swings, or jogging on treadmills. As if they didn't have to prove they're still viable as a commercial and artistic outfit, Underworld's Rick Smith and Karl Hyde faced an additional challenge for A Hundred Days Off -- prove to the dance cognoscenti they could withstand the loss of Darren Emerson, the producer who kick-started the band when he joined in 1992. Unfortunately, the results prove only that Emerson most likely did contribute a certain something, now lacking, to the three LPs he graced. 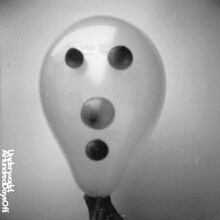 Underworld's trademarked sound, however, is mostly a creation of Smith and Hyde, and present from the opener, "Mo Move," wherein a dizzying cycle of gurgling bass, crepe paper percussion, and sequencers set off Hyde's lonely, adrift vocals. The album also reaches an early peak on "Two Months Off," with a repeated synthesizer riff playing off a brilliant succession of harmonies and basslines, with a hypnotizing performance by Hyde over the top. From there, the album heads off into a succession of overly familiar tracks, either po-mo acid house blues à la Dubnobasswithmyheadman ("Sola Sistim," "Trim," "Ballet Lane") or minimalist, pinpoint techno ("Dinosaur Adventure 3D," "Luetin"). Surprisingly, counter to expectations after the brash youngster leaves the fold, A Hundred Days Off doesn't suffer from the oldster syndrome; the production is edgy and up-to-date as usual, but the songs lack the energy, the feeling, and even the melody of Underworld's classic records. Underworld didn't become one of the biggest groups in the dance world by sitting in the studio all day, spending as much time making tea as producing tracks. Between records, the trio toured incessantly -- playing rock venues, dancefloors, major festivals all over the world -- and consistently made the single best case for techno working in a live (as opposed to club) context. 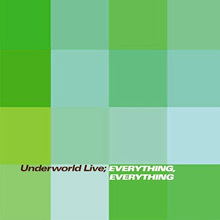 So instead of a mix album (though alumnus Darren Emerson did record a volume in the Global Underground series), in mid-2000 Underworld released the live album Everything, Everything. And just like their studio LPs, this one works so well, not just because the tracks are so excellently produced, but because Underworld is so good at placing sympathetic tracks next to each other and creating effortless-sounding transitions. Each of the act's previous albums blended tracks so smoothly that new listeners were often forced to check the CD player just to see which track they're on at any second. Beginning here with "Juanita/Kiteless," the opening track(s) from 1996's Second Toughest in the Infants, Underworld tweaks the production slightly, then slides right into "Cups" and "Push Upstairs" from 1999's Beaucoup Fish. After pausing a few seconds to catch their breath (figuratively speaking) and accept some audience applause, the trio push onward into "Pearls Girl," perhaps the best production of their career and an obvious peak here. Granted, Underworld doesn't blend each transition on Everything, Everything, and Karl Hyde's vocals aren't always as perfect as on the LP. Still, excellent track selection (evenly distributed from all three LPs) and a winning performance let the band get nearly everything right on their first live album.